The Kidde emergency ladder has a unique, tangle-free design that will allow you to set it up quickly and get to safety. The two-story escape ladder provides an ample length to get you and your family out of your home safely in an emergency. It will attach quickly to most windows, providing a secure exit strategy. This 13-foot fire escape ladder will store compactly, allowing you to keep it in your room or closet. It is tested to hold weights up to 1000 pounds. 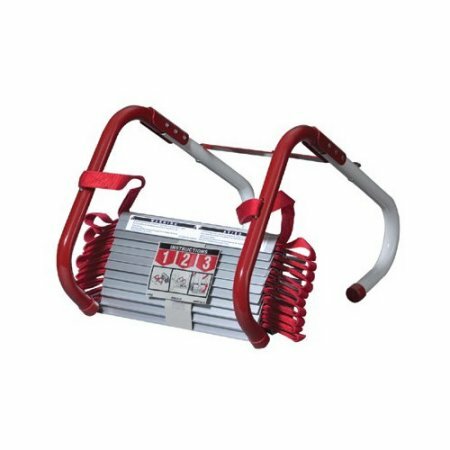 This Kidde emergency ladder has anti-slip zinc-plated steel rungs for secure footing. This ladder is also flame resistant, making it a durable and necessary item to have in your home.